Good morning and welcome to the Spiked! Recipe Challenge reveal day! Today everyone who participated reveals their champagne recipe. You can find the recipes at the below linky. If you’re interested in participating in the next Spiked! Recipe Challenge, stay tuned. The next one will be in March. What happens in March? St. Patrick’s Day. What happens on St. Patrick’s Day? Lots of beer drinking. So we shall see what the secret ingredient in March is! So, what did I make for this recipe challenge? 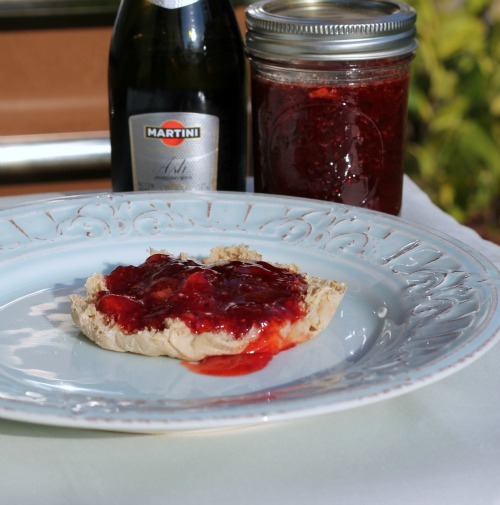 Strawberry Champagne Jam! It’s pretty good. I made enough to fill 3 small 8oz jars so I sealed those jars up and I am going to send one to my mom. I’ll share the recipe with you in just a minute but first, let me go over a few rules. Sign ups occur on the secret ingredient reveal day (next one is in March.) You must sign up on either mine or Frugal Foodie Mama’s blog. The Spiked! Recipe Challenge button must be in your post in order for your post to be considered eligible for being crowned the winner. All recipes will be judged by myself and Carrie from Frugal Foodie Mama. The winner will be announced one week after the linky goes live. 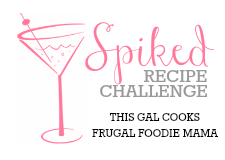 The winner will win ad space from Frugal Foodie Mama and a spot as a fabulous Friend of This Gal Cooks. Now, on to my recipe. I got the inspiration for this recipe from Rosemarried. 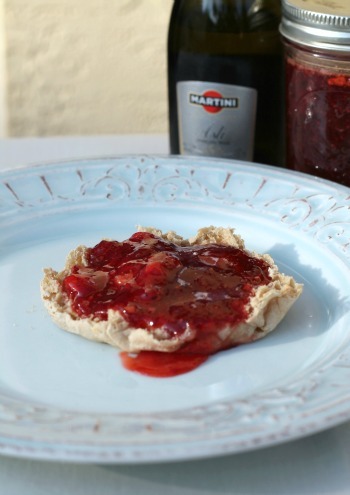 In a large sauce pan, combine the strawberries, pectin, mint, champagne and lemon juice. Bring to a boil. Continually whisk as the mixture is boiling. Use something to mash the berries so they break up. Add the sugar and mix well. Allow to boil for a few minutes. Don’t worry, the rising foam is supposed to happen. Just give it a mix and that should calm it down. Oh I know that jam is delicious! I would have never thought to make jam! Looks delish! I just love this challenge, I’ll be here all day to see what everyone made! Thanks for hosting! This sounds so good! I’ve been trying to get into making more of my own jams and stuff, I’ll definitely bookmark this to try out! This sounds absolutely amazing, YUMMY! Hope you’re having a great day!! This jam sound wonderful! It would be great on scones:) Stopping by from All My Bloggy Friends link up~ I would love to participate in your next challenge! Enjoy your week! Lynn H @ Turnips 2 Tangerines. we have a strawberry patch and come summer we will have strawberries coming out our ears, this sounds wonderful and I am going to have to try it! Thanks for hosting. This is my first challenge and I am hooked! Thanks for hosting such a great challenge! This looks divine! I pride myself on my great strawberry jam but this takes the cake! I caught you on Foodie Fridays and have pinned this recipe – strawberry season will be her in a few months and I can’t wait to make this one! I fill like a loser, I don’t have a Champagne recipe to share. LOL! 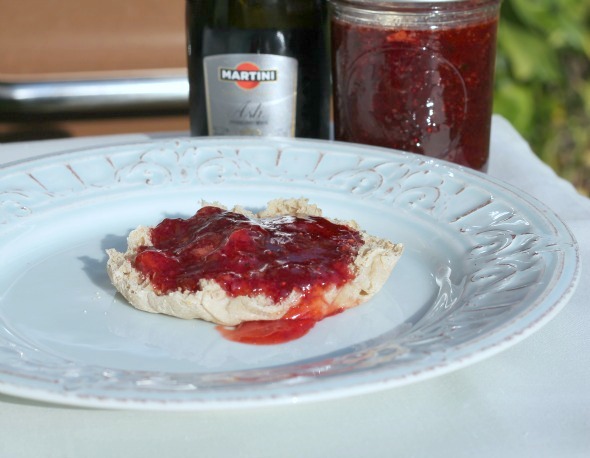 Your Strawberry Champagne Jam sounds delicious though not to mention your fried green tomatoes and your penne recipe! YUM!!! So glad so shared them at my party. Have a great week. Thanks for the awesome recipe. Keep up the good work. ©2019 This Gal Cooks. Design by Purr.